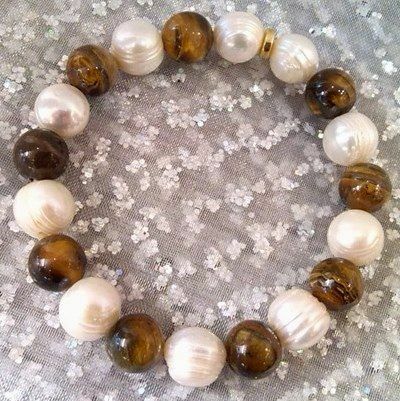 Large (10 mm) lustrous 'ring' pearls and polished, silky-golden Tiger-Eyes - what a great combination! Each of the lovely gems in this 'chunky' bracelet sets off the other. 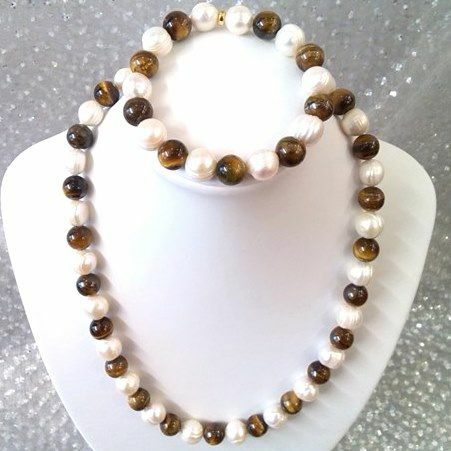 This is made on a strong and stretchy cord as shown or click here to choose a clasp. We'll send your bracelet in a pretty and practical pouch or a handsome gift box. Please choose from the options above.